HemingWeigh Natural Air Purifying Himalayan Rock Salt Obelisk Lamp with Wood Base. 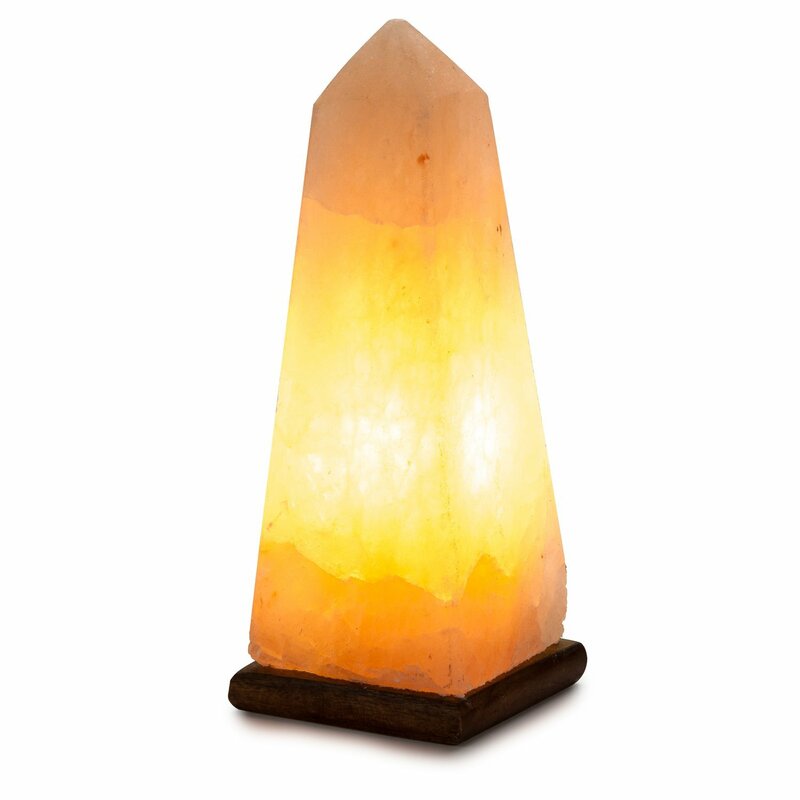 "This lovely HemingWeigh Himalayan Rock Salt Obelisk Lamp brings the natural beauty of the Himalayan crystal rock to your home. Hand crafted and shaped into a smooth, tall obelisk lamp with a high quality wooden base. When turned on it emits a soft and calming amber light, giving off a soothing glow. When heated the Himalayan crystal rocks emit negative ions into surrounding atmosphere making the air clean, fresh and healthy to live in. 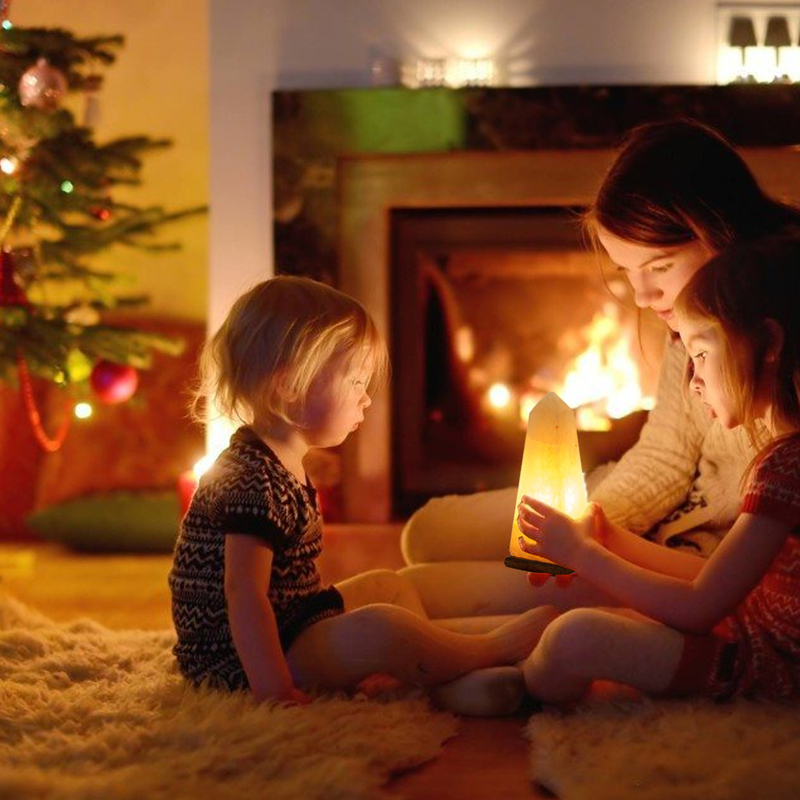 That will eliminate the positive ions which are present in our environment, produced by everyday electronics such as computers, refrigerators and televisions plus it will neutralize harmful energies. 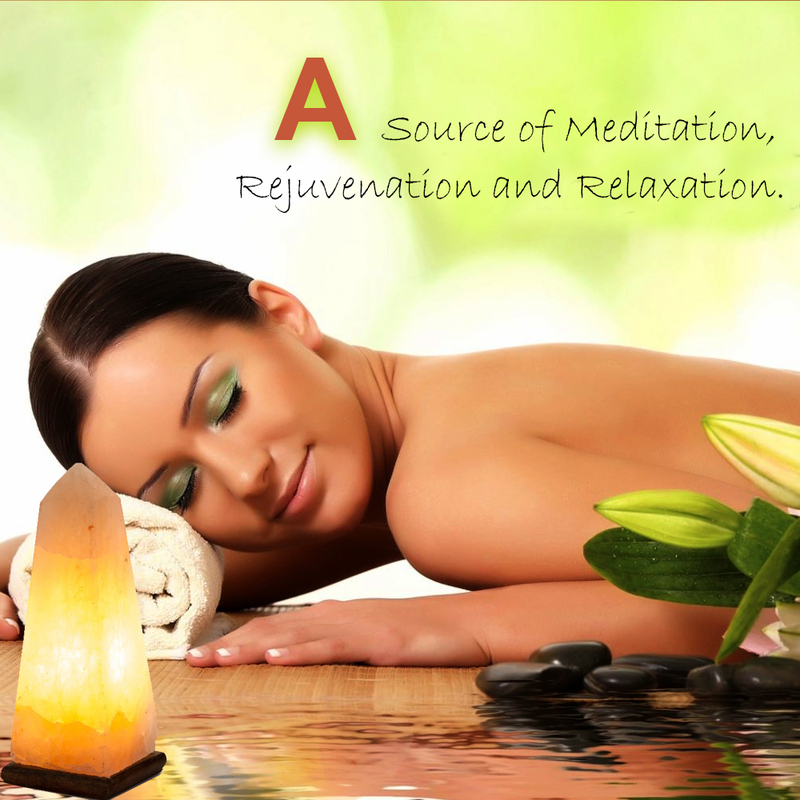 Thus these HemingWeigh Himalayan Crystal Rock Salt Lamps are therapeutic as well as stunning. Ideal for use in your home or place of work. Wonderful for your bedroom, living room, office or anywhere we you want to bring a calm and soothing aura. Natural salt crystal is found in ancient evaporated sea beds underneath great mountain masses, such as the Himalayas, where it has been compressed over time to form solid salt rock, with all the minerals structurally intact. Benefits: Ionization helps combat many of the harsh elements that assail our bodies, causing us to feel unwell. Placement of our salt lamp in an area that one uses frequently can help balance the body, boost our immune system and give back lost energy. Negative ions purify the air, reducing the effects of: Dust, Bacteria, Pet Dander, Odor, Allergies, Asthma, Sinus, Fatigue and even Colds. May also relieve symptoms of Anxiety and Insomnia."